India will get their campaign underway against New Zealand in the opening game of the tournament. 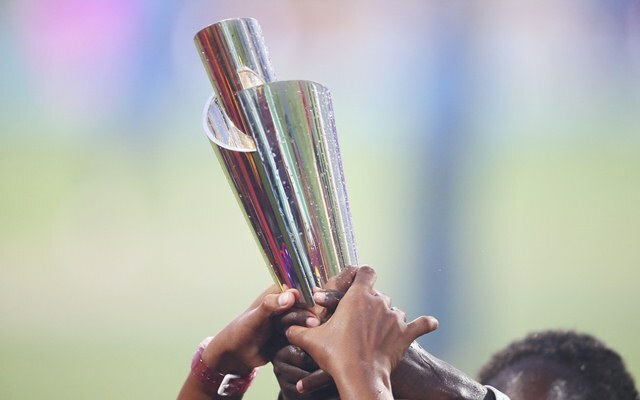 The biggest extravaganza of the Women’s T20 cricket, World T20, is all set to commence in the Caribbean islands. A total of 10 teams, who have been divided into 2 groups of five each, will fight it out for the ultimate glory. No wonder, this will be one of the competitive and open tournament as all the sides have shown remarkable improvement in the format compared to the last two years. Having said that, Australia Women enter as the overwhelming favourites as they’ve all the bases covered. The competition will get underway with three matches – two from Group B and one from Group A. While India will lock horns with New Zealand (or White Ferns as they say) in the first match of the day, Australia will look overpower Pakistan. The day will end with the hosts Windies facing off with the current Asian Champions Bangladesh. The Caribbeans are the defending champions and would love to come up trumps once again. The opening game of the match is between India and New Zealand and there is no doubt over the capability which the players from both the teams possess. If the Women in Blue are concerned, they will be keen on banking on the performances in the two practice games which they went on to win. They have explosive batters like Smriti Mandhana and Harmanpreet Kaur in the line-up and the veteran Mithali Raj is expected to hold one end with her calm demeanour. The bowling department also looks decent with the spinners holding the key on the slow surfaces. India Probable XI: Smriti Mandhana, Jemimah Rodrigues, Mithali Raj, Harmanpreet Kaur (c), Deepti Sharma, Taniya Bhatia (wk), Veda Krishnamurthy, Poonam Yadav, Radha Yadav/Ekta Bisht, Arundhati Reddy, Mansi Joshi/Pooja Vastrakar. New Zealand lost their final warm-up game against the hosts but they shouldn’t be taken lightly. They’ve entered the tournament with a loss at the hands of Australia as well but they will be keen on putting up a good show. Suzie Bates and Sophie Devine are their best players and possses some of the skilful bowlers in the format. Australia are the favourites to lift the title this time around. The likes of Alyssa Healy, Meg Lanning, Ash Gardener among others form a brutal batting line-up. The experienced Ellyse Perry and Elyse Villani are also the important players of the team. Their bowling attack comprises of Megan Schutt, Delissa Kimmince among the youngsters who made it to the team recently. The confidence will be high for the team after winning against New Zealand and Pakistan in the lead up to the tournament. A lot is not expected of Pakistan in the tournament but make no mistake, they have a point to prove that the team belongs to this level. They stunningly trumped South Africa in the warm-up encounter comprehensively and if the team in green manages to put up a good display together, they are likely to make the team pay in this competition. Bismah Maroof, Sana Mir and Javeria Khan are some of the key players for them who need to do consistently well. Probable XI: Javeria Khan, Nahida Khan, Sidra Nawaz, Sana Mir, Bismah Maroof (c), Ayesha Zafar, Nida Dar, Anam Amin, Nashra Sandhu, Diana Baig, Aiman Anwer. The day will end with the blockbuster game as the hosts will be in action against one of the fast improving sides Bangladesh. The Asian Champions stunned everyone a few months ago by beating India in the Asia Cup T20 final. Stefanie Taylor is the captain of the Windies side and she possesses some of the great T20 players in the side. On any day, this side can beat the strongest and they did the same a couple of years back in India when even the Men’s team basked in glory. Probable XI: Natasha McLean, Hayley Mathews, Deondra Dottin, Stefanie Taylor (c), Chedean Nation, Kycia Knight, Merissa Aguilleira (wk), Shemaine Campbelle, Shamilia Connell, Anisa Mohammed, Afy Fletcher. Bangladesh are driven by their skipper and an exceptional performer Salma Khatun. The experience of Rumana Ahmed will also be crucial in this game. The others also need to chip in at the crucial junctures like they did in the Asia Cup and it will be interesting to see how they fare in their first game of the tournament. Probable XI: Jahanara Alam, Shamima Sultana (wk), Fargana Hoque, Ayasha Rahman, Nigar Sultana, Fahima Khatun, Sanjida Islam, Salma Khatun (c), Rumana Ahmed, Panna Ghosh, Nahida Akter. Get the latest Cricket News and updates from Women’s World T20 2018, Match Predictions, Fantasy Cricket Tips and lots more on CricTracker.com.